Jute Bowls are hand crafted bowls using the materials Jute. It is a natural fiber made from cellulose and lignin loaded with amazing features making it a perfect raw material for varied decorative and high utility items. Bowls made from jute are considered as one of the great items for keeping vegetables, fruit, newspapers, toys, CDs and varied other items safe and sound. 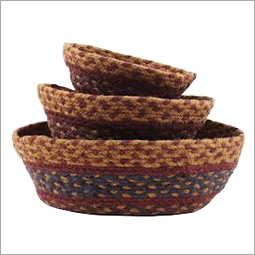 These types of jute bowls can be easily kept in the kitchen on bench, dining table, and any other place. In addition to their high utility features, they are reckoned for adding a modern look to the establishments. Jute bowls are designed in varied beautiful designs, shapes and patterns making them perfect for every kind of interiors. They are handcrafted so that the natural features and elegance of the jute can come out easily. These qualitative and beautiful practical pieces are ideal for keeping things safe. 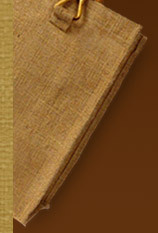 Eco friendly nature of Jute makes the establishments of homes, offices, restaurants, etc. more green. They add a natural look to the interiors with their environment friendliness. Jute bowls are available in a wide range of sizes and dimensions so that items of every size can be stores easily and safely. As jute bowls are made from jute, high durability and sturdiness are the innate features of these bowls. They are highly durable and strong that provide long lasting performance to them. They are easy to maintain and clean that takes only a minute. They can be easily cleaned with a damp cloth without much effort. Free from any kind of wear and tear, they are not at all affected from any climatic condition. Value added features along with highly attractive designs make them a must to have item for every establishment to add appeal to it. Fancy and stylish jute bowls are available at very reasonable prices in the market.